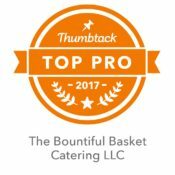 The Bountiful Basket, LLC | "Catering Done Right With A Passion For Service"
The Bountiful Basket has been a full service catering business since 1992. We believe that you are unique, so your menu choices should be unique as well. We try to refrain from the common practice of sticking to standard preprinted menus. We can offer to customize your event to match your style and budgetary needs. Customizing your menu choices creates a unique dining experience for your invited guests. This also ensures that we can use seasonal foods items which helps to keep the price point lower and give a better product for everyone's enjoyment. We are also happy to offer you our "one stop shopping" experience by helping you with floral arrangements, event decoration and your equipment rental needs. If your preference is to use your vendors that's always welcomed and understood. We believe that the event planning process should be easy and fun for you. Whether you are planning a corporate served function, a meal delivered on disposables, wedding or a party in your home, our staff strives to make the process stress-free and memorable. 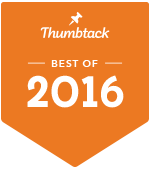 Our goal is for you to experience excellent service from our initial contact to our staff saying “Good bye and Thank you”.